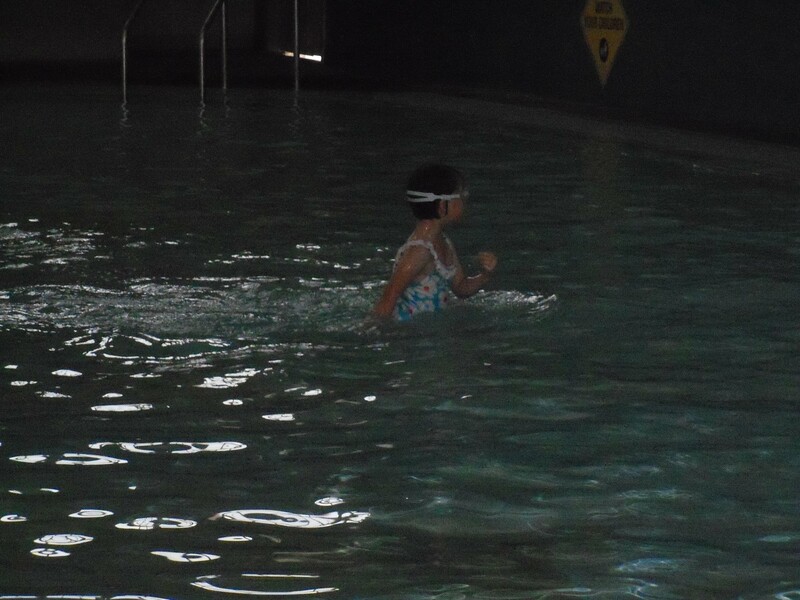 Yesterday, was Xoe’s last swimming lesson. 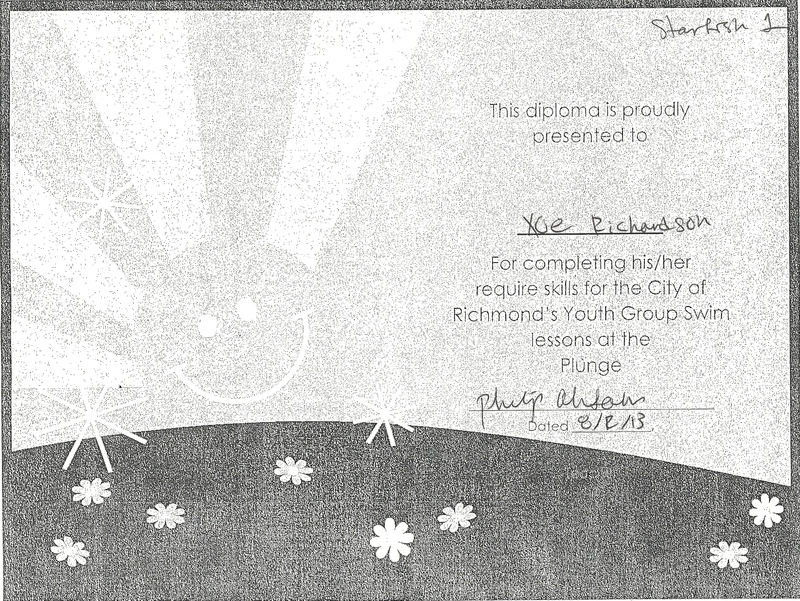 She was awarded her first diploma after swim class. She can’t quite swim on her own yet, but she made great progress. This class was intended to make her more comfortable in the water, and to teach her the basics of swimming, kicking, and floating. Xoe loves the water, I have taken her to the pool since she was about 6 months old, she has always loved the pool, and before the pool, it was the tub. The swimming pool here is the perfect pool to teach young children, how to swim. 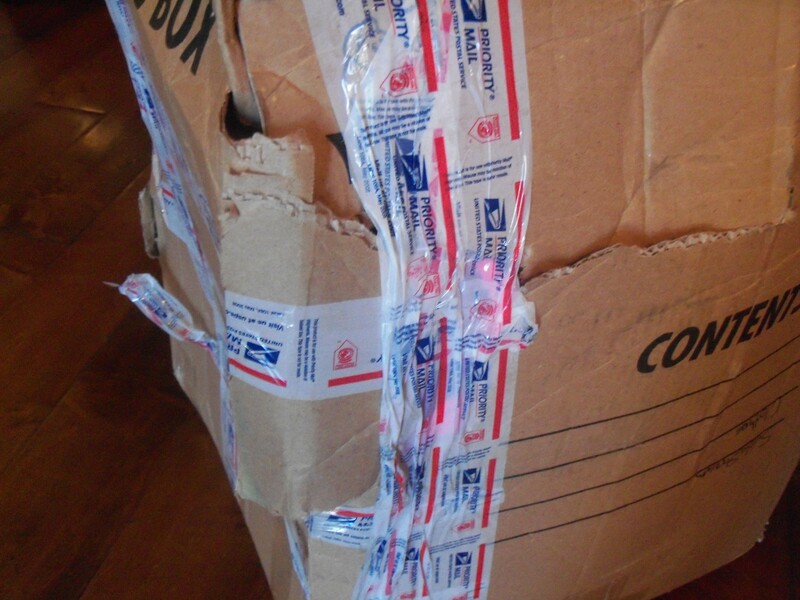 It starts off at about 2′ 3″, and slowly tapers up to about 3′ and after that it gets deeper up to about 8-10′ deep. The pools stays shallow for a good distance too, the younger kids get about 20 feet of pool to swim in, so they have plenty of space. I am excited about Xoe’s first diploma, and hope to see many more. Sunday Xoe and I went with grandpa and Nana to see their horses Toffee and Duchess at the stable. 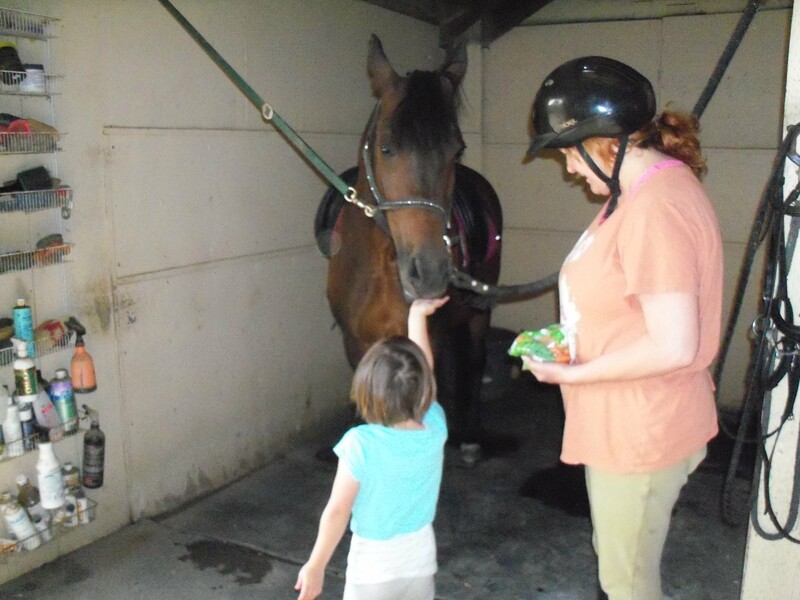 Xoe got to watch grandpa and Nana brush and groom the horses in preparation for riding them. 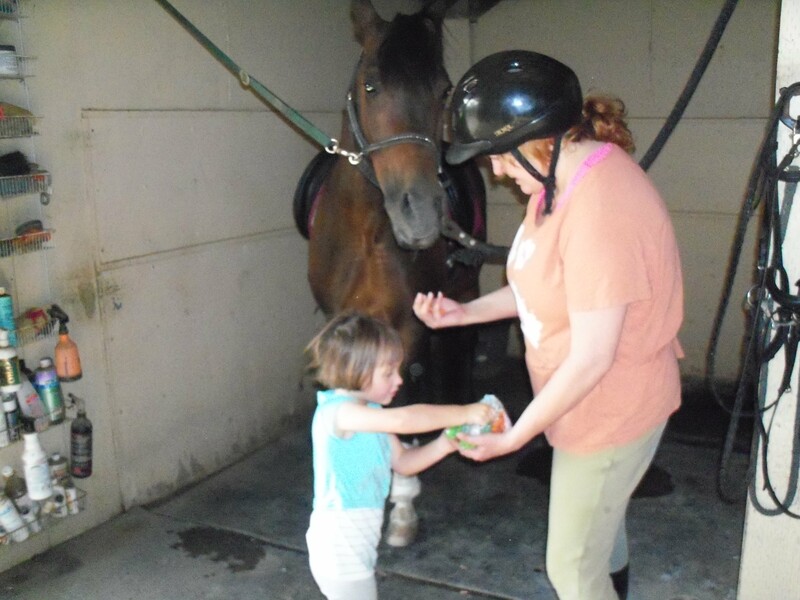 She also got to watch them feed peppermint candy to the horses. Xoe was terrified of the horses at first but slowly warmed up to them after she watched Nana and grandpa with the horses. Nana and Grandpa rode the horses around the stable for about 30 minutes each. 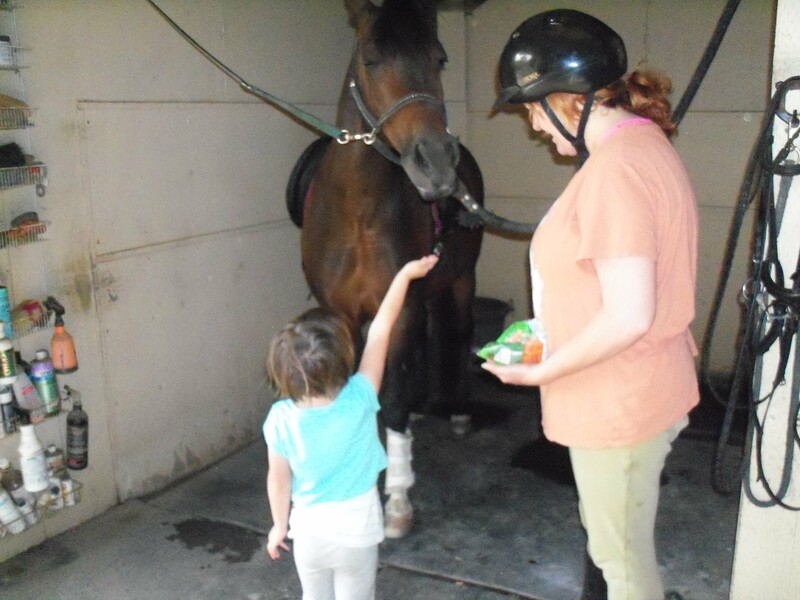 After Nana finished her ride, she asked Xoe if she wanted to ride Toffee. Xoe seemed to lose all fear and got up and rode the horse like she had been around horses all her life. 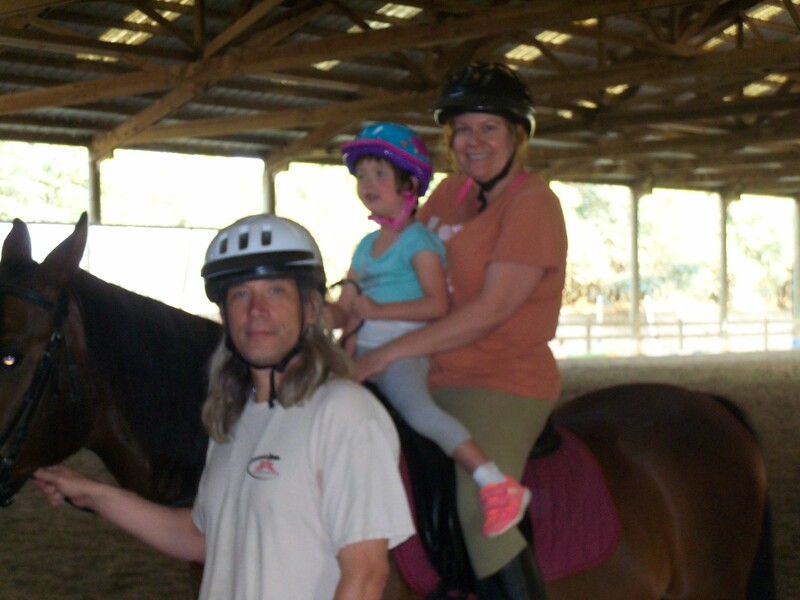 The first ride was with Nana riding with Xoe, and grandpa walking the horse Toffee. Nana has been around horses all her life and does Dressage riding. 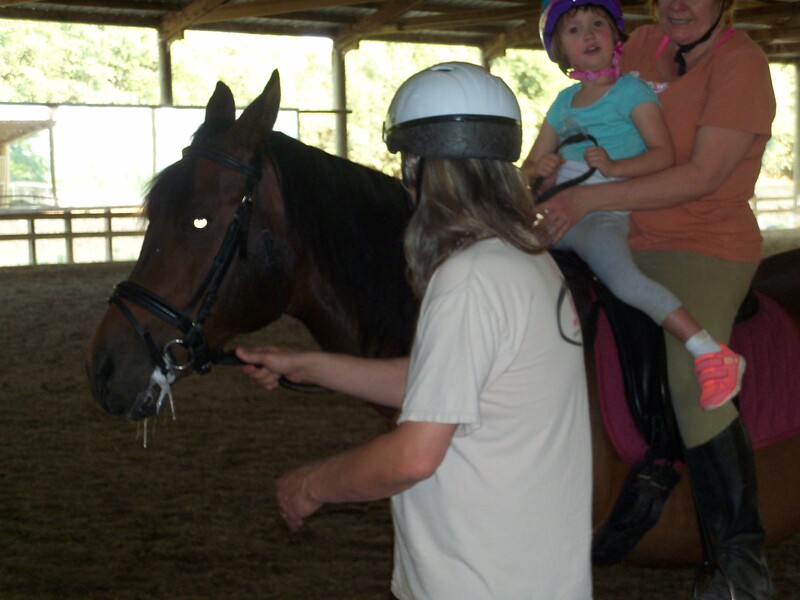 Nana helped Xoe feel comfortable around the horses, so Xoe’s first ride was a lot of fun. VIDEO Xoe’s First Horseback Ride This is a video of Xoe riding the horse on her own. After the ride, Nana cleaned Toffee, and brushed out his mane and tail. Then she feed Toffee some carrots and peppermints. Xoe’s first experience with the horses was a success. She started off terrified but by the end of the day she was riding on her own and feeding Toffee all by herself. 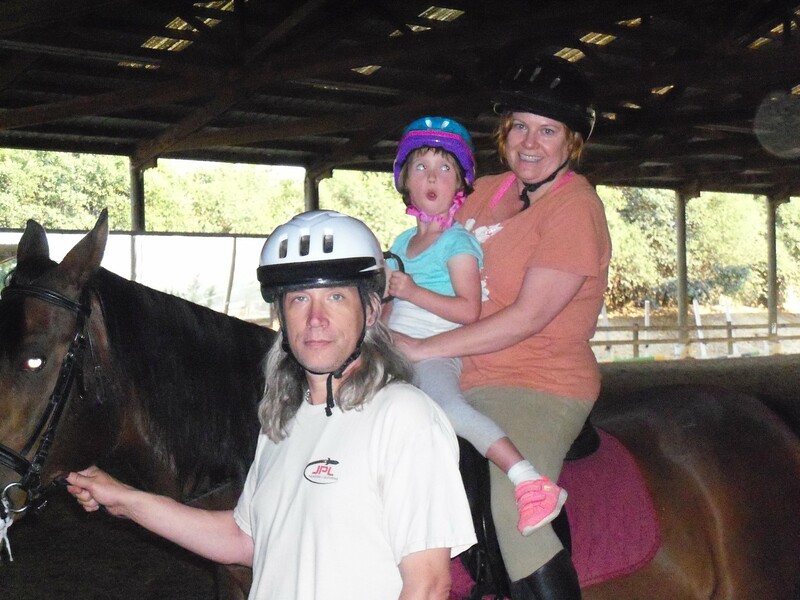 Xoe is lucky to have her grandparents who take her to the stable and let her ride the horse. I think she learned a lot about horses that day and I look forward to going there again some day. 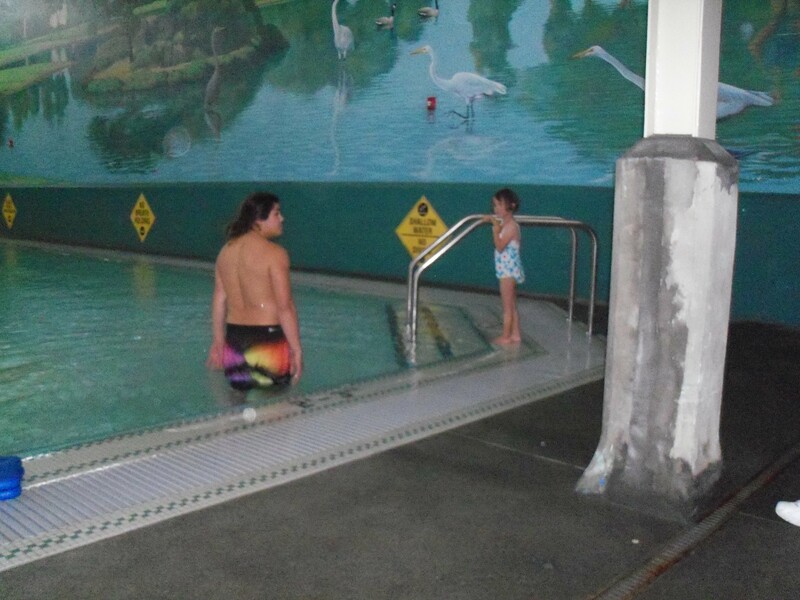 Today, is day 2 of Xoe’s swim lessons, and I must say she did very well, when she was paying attention. 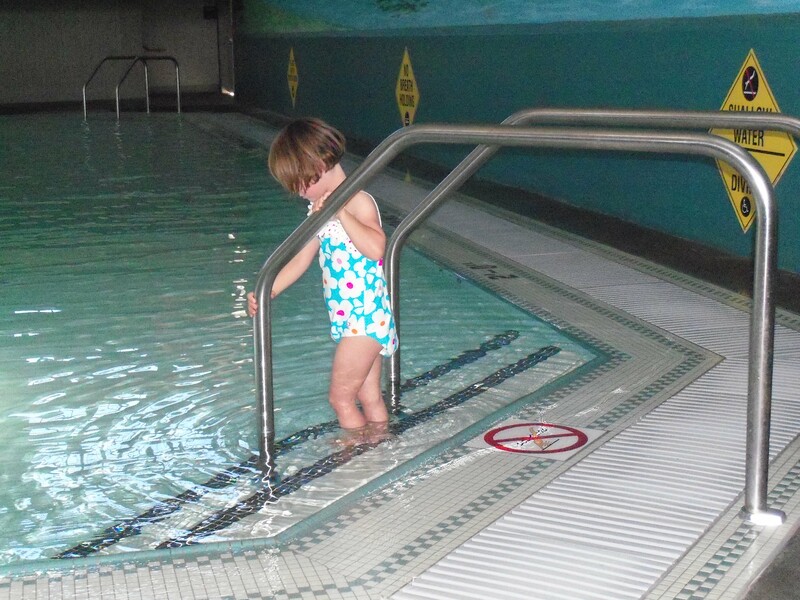 We arrived for the swim lessons a little early again today and it was all I could do to keep Xoe out of the water until it was her turn. She was misbehaving though. I didn’t get many pictures because I was almost constantly having to tell her to pay attention, stop jumping, stop running, and stay in the shallow end, during class. 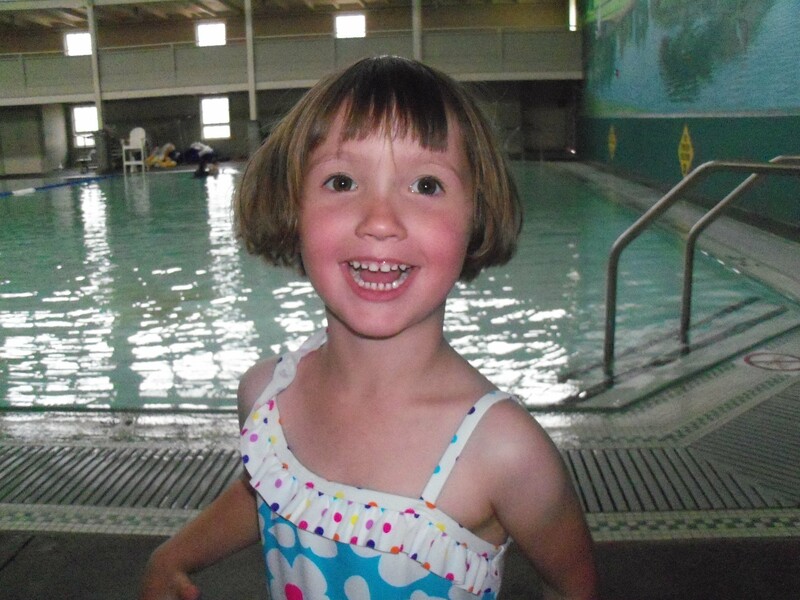 Xoe has been excited about going to her swim lesson, it was all she talked about all day. We left a little early again today because she was so excited to go. We got to watch the children in the classes before her’s and Xoe clapped and applauded the children on their swimming. 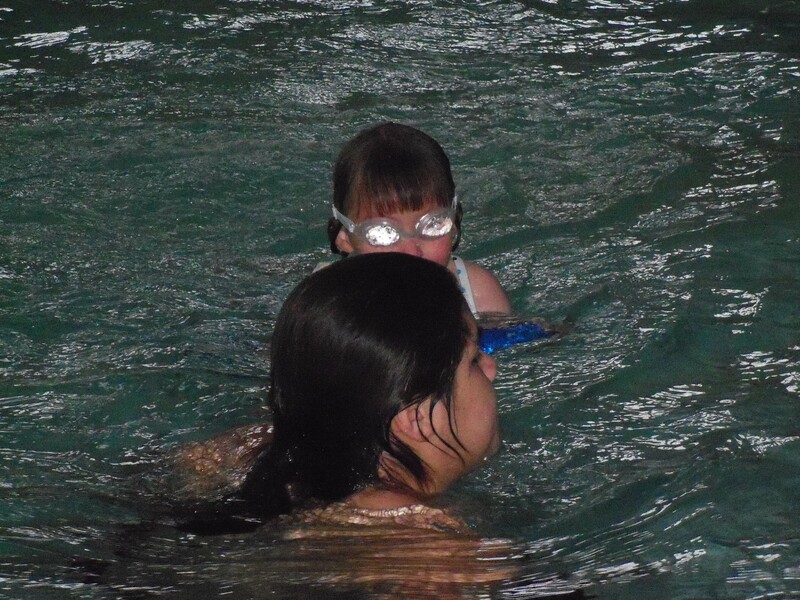 When it came time for her swim lessons she paid more attention to her friend than she did the instructor. 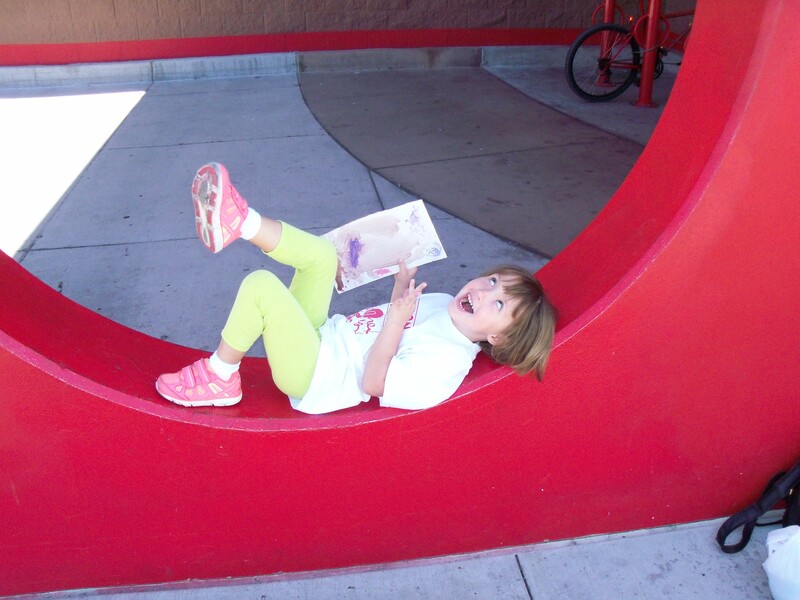 I had to be “that parent”, the one yelling from the sidelines, It was awful. I did more correcting her today than I thought I would have to. She didn’t listen to her instructor when he told her to stay by the wall while he was teaching the other kids. She and her friend kept jumping into the pool even after the instructor asked them about 5 times to stop. 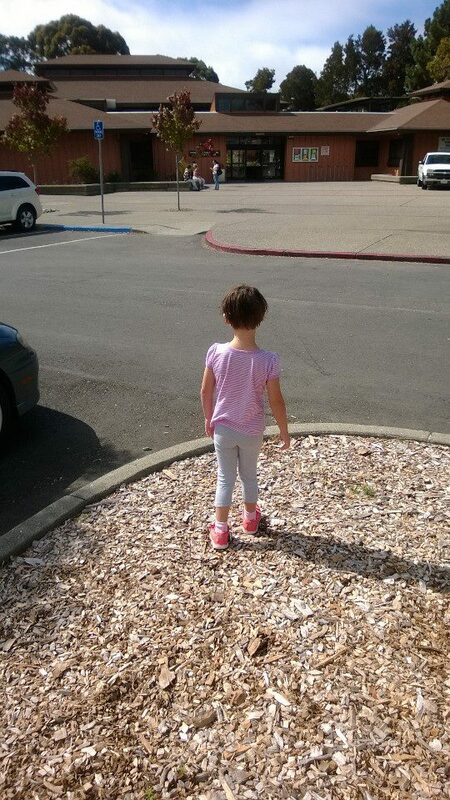 Her little friend even said, “he told us not to jump, but I don’t care” and of course his mom was nowhere to be found, she just dropped him off. I am looking forward to Friday’s class and hope it goes better than today. Xoe’s first swim lesson went great, I couldn’t have asked for a better instructor, and I didn’t have to get into the water. 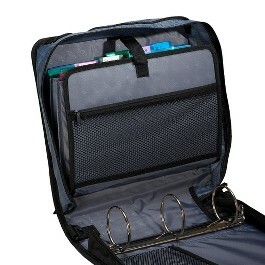 I thought the classes would be where the instructor taught the parents how to teach the kids to swim, but I was wrong. 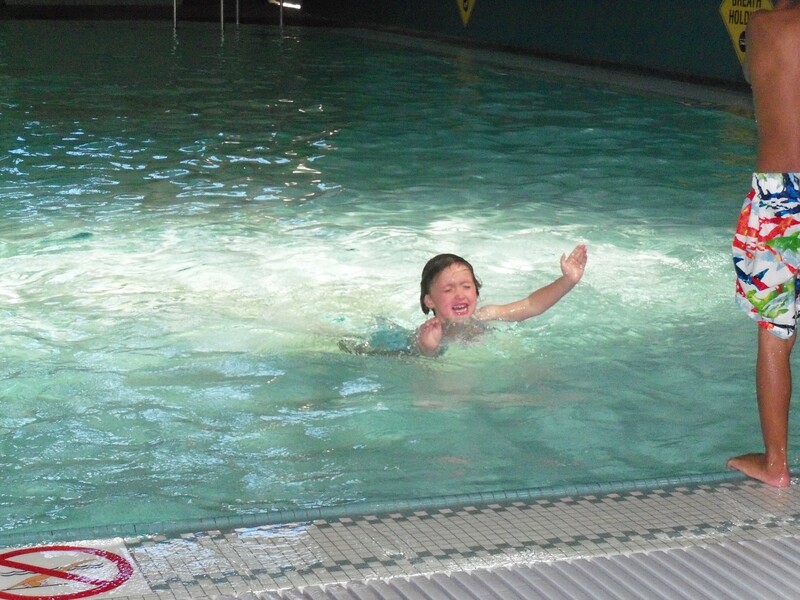 The instructor taught the children how to swim. I was the only parent who showed up in a bathing suit ready to get into the water. 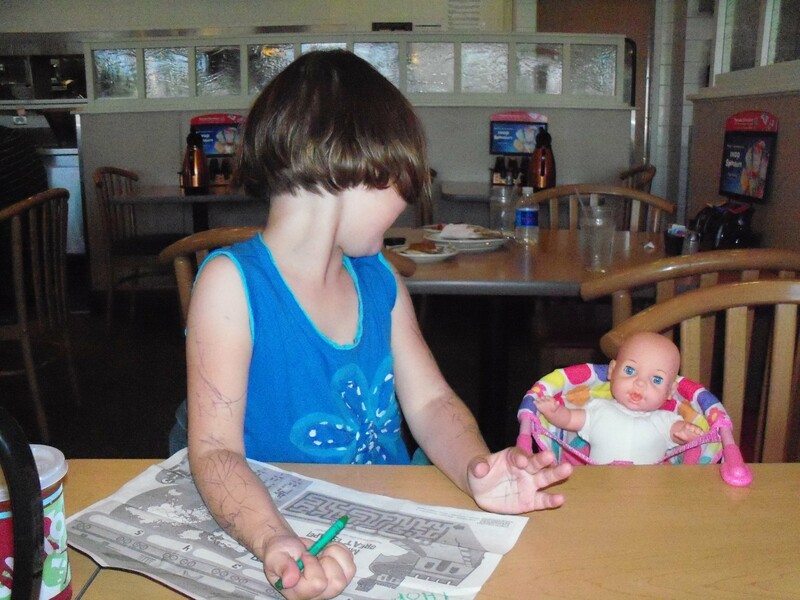 There were three children in the class, Xoe was the first to arrive and the youngest. I thought Xoe was the most enthusiastic student, while the instructor was busy teaching another child, Xoe would practice what she was just taught. The children were taught one on one by the instructor. 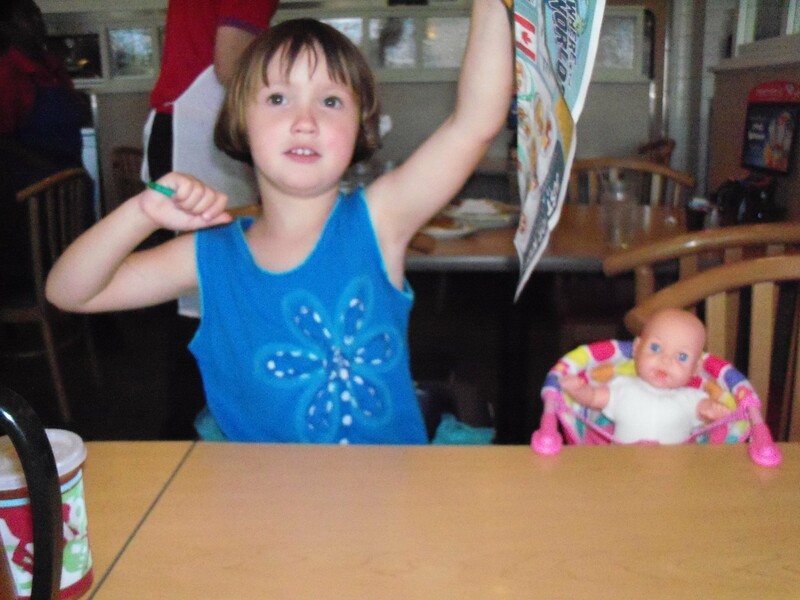 Xoe did everything he asked, and she participated well in the class. She even made a new friend, a nice little boy. 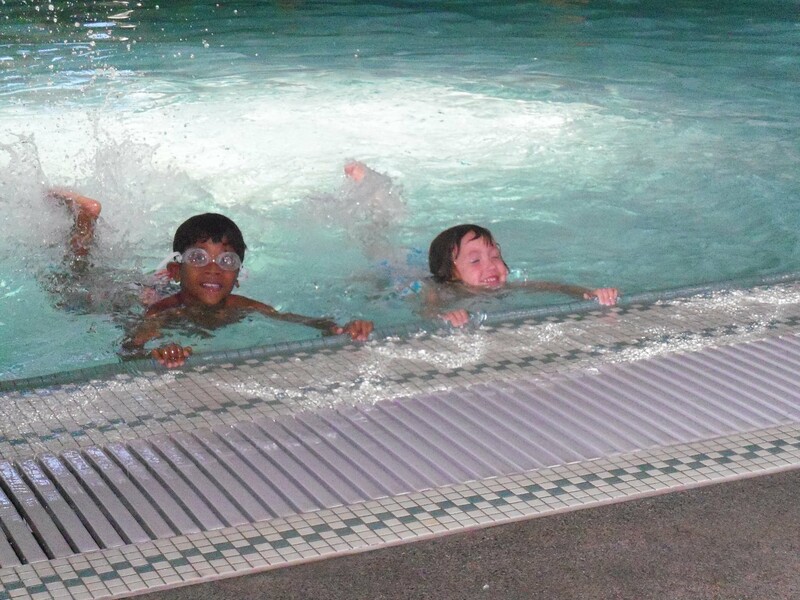 They played and practiced their new swim moves while the instructor was teaching the third child how to swim. 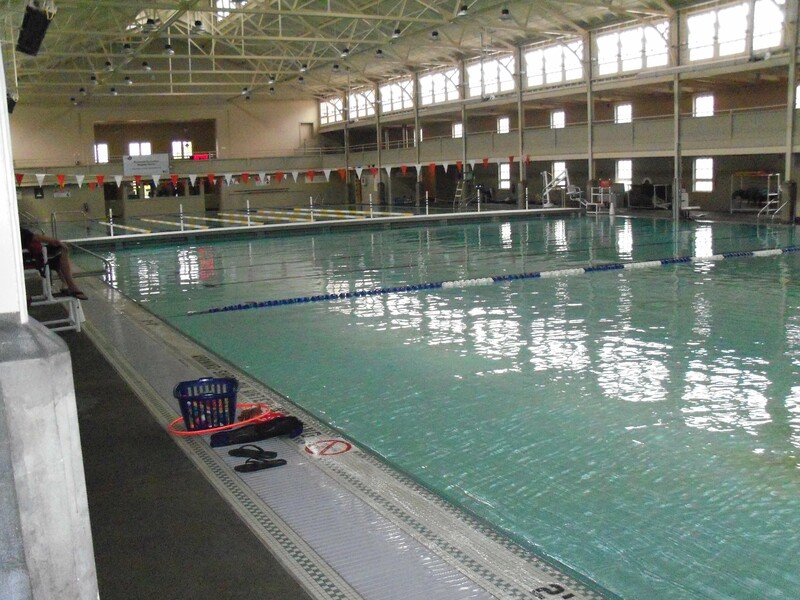 The pool is huge and it has a shallow side for small children, that’s where Xoe’s swim lessons were. 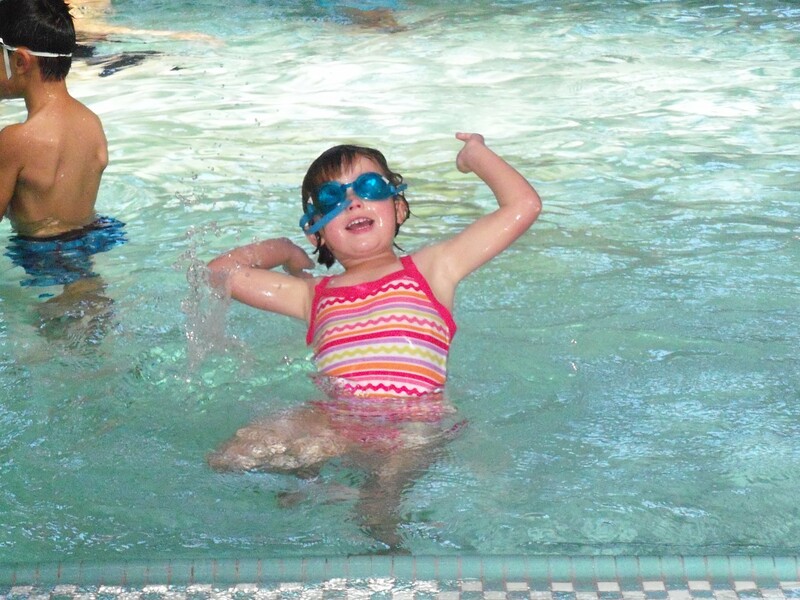 Xoe was the first child to show up for her swim lessons. 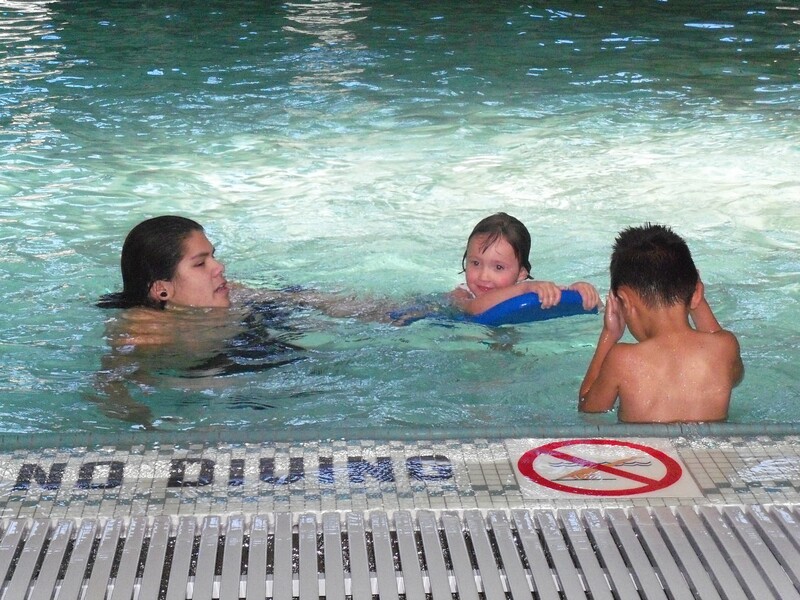 This is Xoe’s instructor showing her how to go under water. Xoe’s swim instructor taught Xoe how to swim with a kick board. 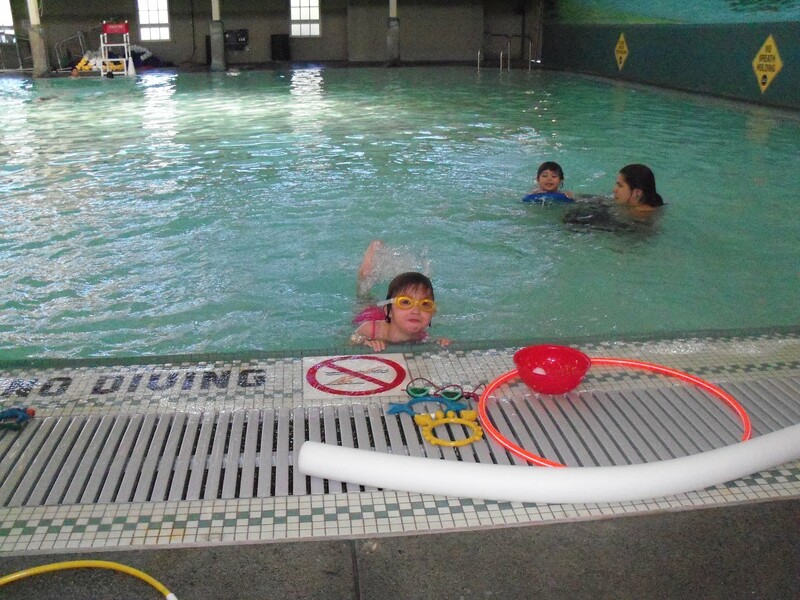 This is a picture of Xoe swimming with her kick board and her instructor. 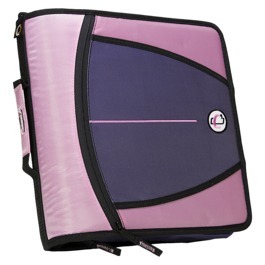 Xoe swam with the kick board half way across the pool and back. The first lesson was essentially to get the children used to and comfortable with the water. Xoe had a great time, and loved the water. The water was pretty cold, what you can’t see in the pictures and video is Xoe shivering. Xoe didn’t mind the cold water, she was having too much fun learning to swim to care about the cold. 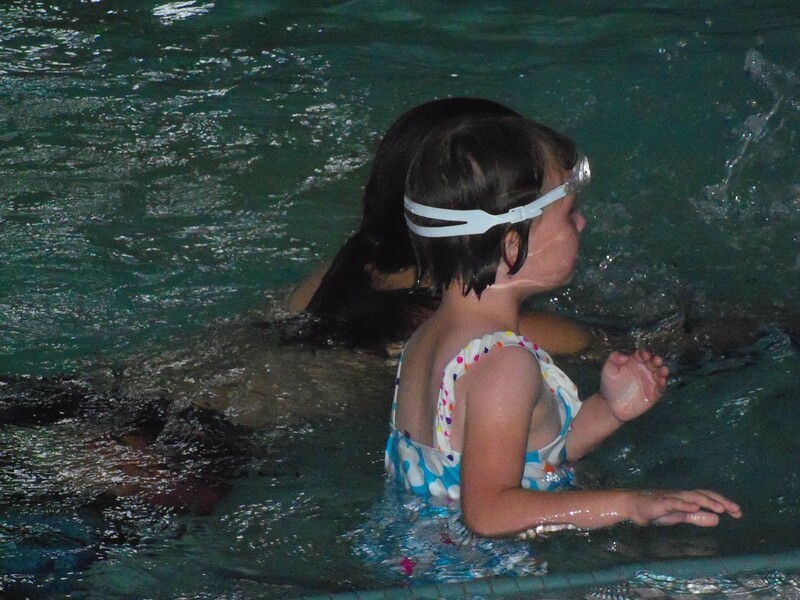 I am so impressed with the swim lessons at The Plunge that I am going to enroll Xoe into all of the classes for swimming as they become available for her age group. If she continues to progress like she did today she will be swimming in no time and I won’t have to worry about her not being able to swim. 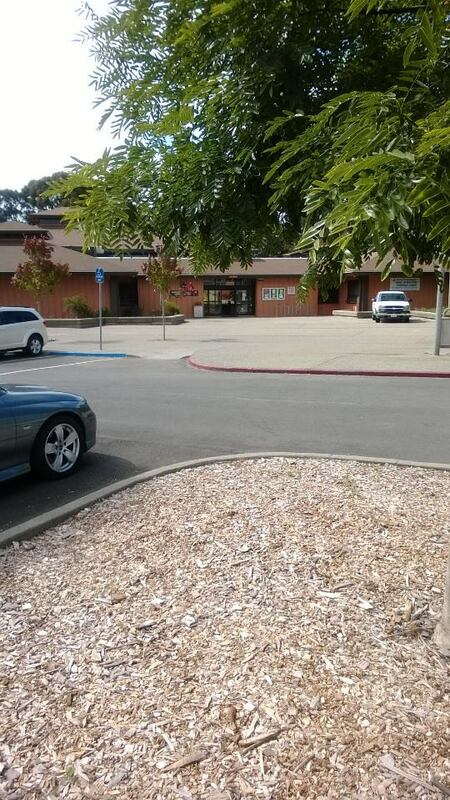 Today, I took Xoe to the Hilltop Mall, it’s an average sized Mall with a carousel about midway through the mall. 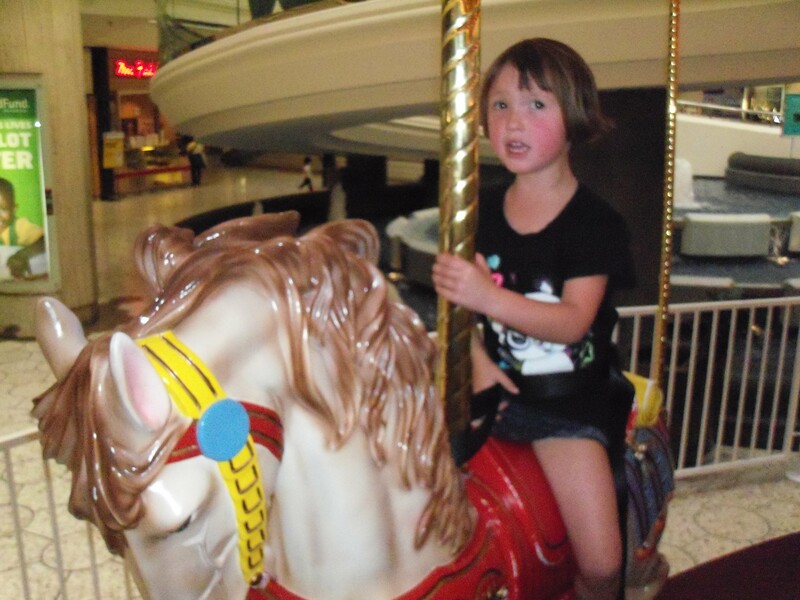 I took Xoe to the mall so she could ride the horses on the carousel, and to see the Piercing Pagoda where I am taking her to get her ears pierced on the 1st when I get paid. Xoe loves the carosel but she is still slightly afraid of the way the horses go up and down. I took some pictures of Xoe on the carousel, the first one shows a little bit of the fear on her face, note how tightly she is clutching the bar that holds the horse up. The second photo is a better shot of Xoe on the horse she picked out to ride. By the time I took the second photo she felt more comfortable on the horse and wasn’t scared anymore. 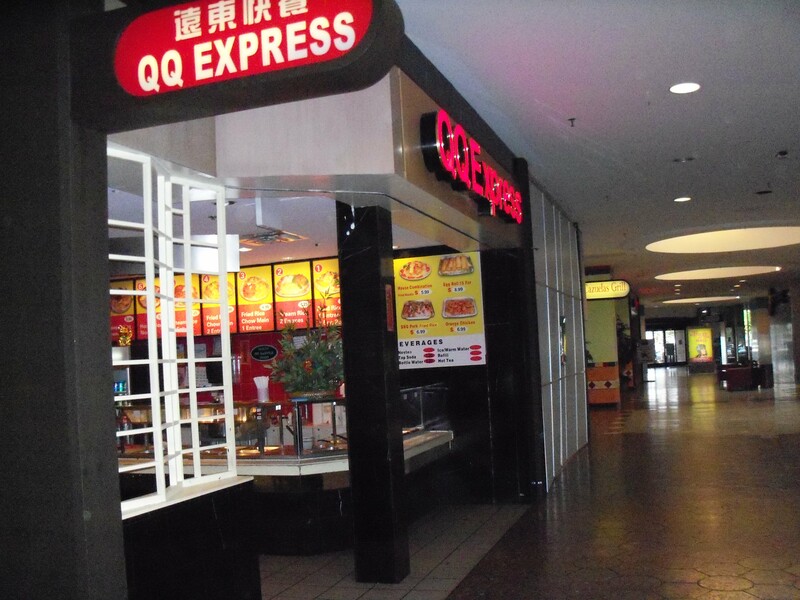 After the carousel ride we went to lunch at QQ Express where we ate lo mien, Mongolian chicken, sesame chicken and fried rice. 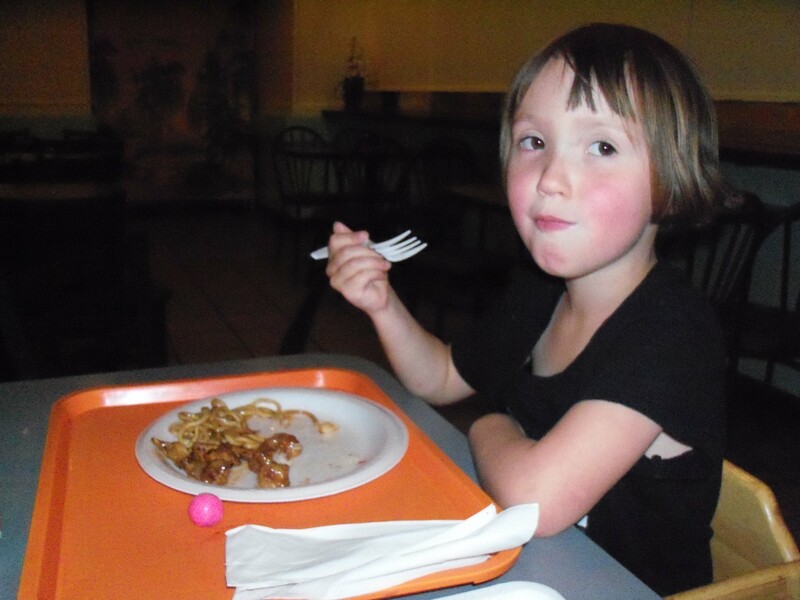 Xoe loved it all even the Mongolian chicken which was hot and spicy. After lunch we went to the Piercing Pagoda where I am taking Xoe to get her ears pierced. She picked out a very cute solitaire diamond set of earrings that had a nice sparkle to them but wasn’t too flashy. I think she wanted this kind of earring because her grandpa has the same kind of solitaire diamond earring. 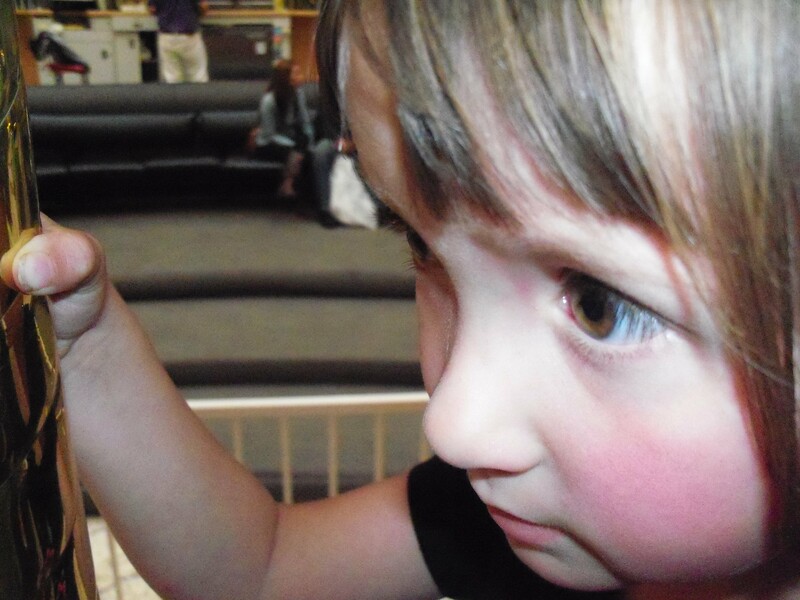 We had a great time at the mall, we walked around and I took a lot of pictures. I posted all of the pictures on my Facebook page. 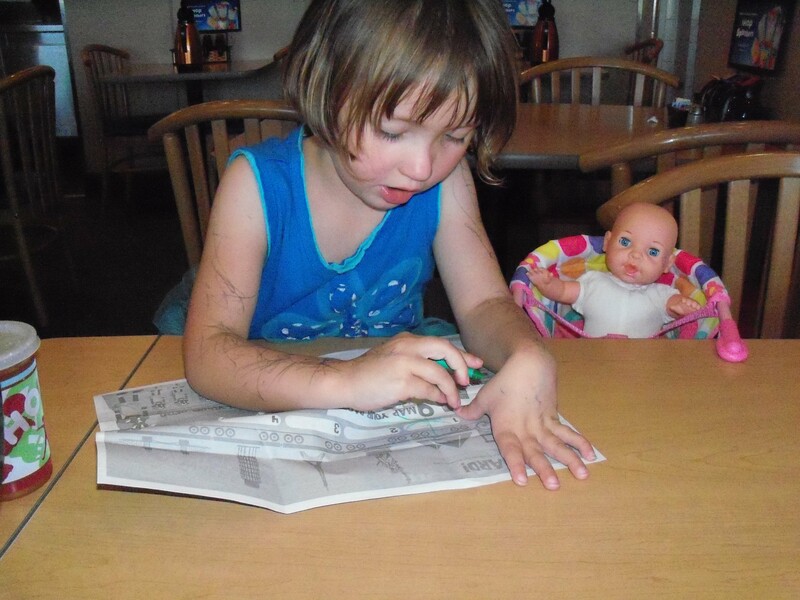 I enjoy our girl’s out dates, and am so lucky that I am able to do these things with Xoe. As her grandmother, I value every minute I get to spend with her, as her mother I also value every minute with her but I also realize that I am older than the average mom and am very lucky to be fit and able to get around, even though I have not been living a healthy lifestyle. I am overweight and out of shape, and that’s about to change. Since I have moved to California I have been going on walks almost every day with Nana, grandpa, Xoe, and the dogs. I am trying to become more fit, eat better, and exercise more so that I can be around longer and healthier than if I had just kept going on the way I was. Ok, that Chinese food probably wasn’t the healthiest choice for lunch, but you have got to splurge every once in a while, lol.